As a blogger, I am often sent products to sample and review, and as a family who enjoy trying out new things – especially food and drink, we graciously accept them. 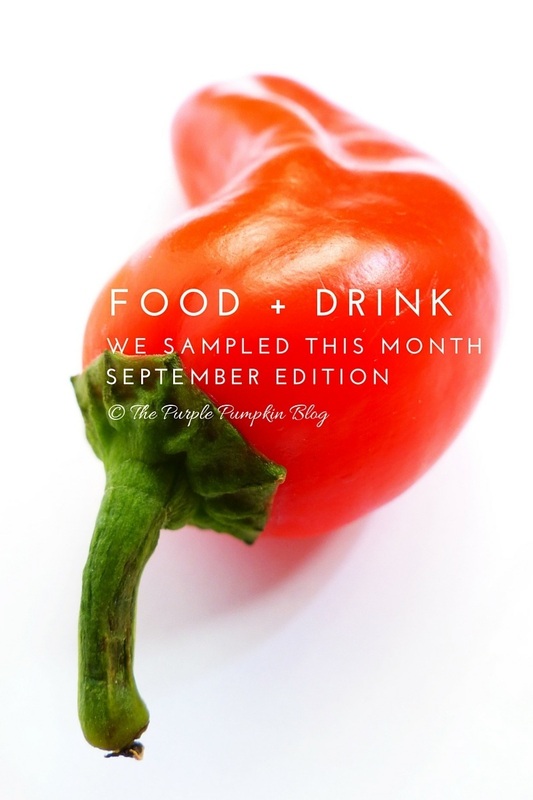 I thought it would be an easier read for you all, to have a round-up post each month, and so here is the August edition of Food & Drink We Sampled This Month. I know I’ve harped on in the past about growing up as a publican’s daughter, and so, it’s only right I let you know about British Pub Week, which is October 31st – November 8th. These days, pubs are as much about the food and snacks, as they are about the beers and spirits, and Portlebay Popcorn are a great snack to enjoy with you favourite tipple. We sampled three flavours – Wasabi & Sweet Ginger, which pairs well with good old fashioned beer; Chilli & Lime, which gives a tangy kick when paired with gin and tonic, or vodka and soda. We also tried out the Cappuccino flavour – back in the summer (!) and I had forgotten to include them in my round up last month. Inspired by managing director of Portlebay Popcorn, Jonty White’s passion for sailing on the Salcombe estuary combined with a love for healthier snacks made with the best ingredients, he founded Portlebay Popcorn in 2013. Ever since then, each bespoke bag of this gourmet popcorn has been hand-popped and manufactured at The Poppery in Devon in small batches to ensure freshness and crunchiness. With its distinctive colourful nautical stripes brightening up the bar, the Portlebay team believes that popcorn is one of those simple things that brings a little sunshine into your life. Small packs are made for snacking alongside a drink in your local and larger packs are perfect for sharing (retail from £1.70 per 75g bag). You can find them for sale in supermarkets and independant retailers. The savoury flavours also include Orchard Wood Smoked Cheddar, Classic, and Crispy Bacon & Maple Syrup, and are different from your average popcorn… they’re called Kracklecorn, and Portlebay add raw can sugar as the corn kernals begin to pop, to give a more brittle, crunchy texture. This gives these flavours a delicious sweet/savoury mix, which I think makes the best popcorn! Of the two, we all preferred the Chilli & Lime flavour, which had a nice spicy kick, without being overpowering, and you could taste the lime flavours coming through. The Wasabi & Sweet Ginger though, didn’t pack any punch at all – and with them having wasabi as a flavouring, this was disappointing. I loved wasabi peas – spicy and hot, but this popcorn didn’t hit that spot. The sweet flavours also include Lemon Sherbert, Cinnamon Swirl, and Very Berry. The Cappuccino flavour was delicious – we shared bags of these one sunny afternoon in the park with my sister and her family, and they were a hit all around! Tanners Wine Merchants are an independent, family-owned, family-run business, based in Shropshire. Chairman, James Tanner, is the fourth generation of the family to work in the company, which employs more than 100 people. You can read more about the history of the company on their website here, which is a fascinating read! I was asked to select a bottle of one of their in-house wines, of which there are close to 40 bottles to choose from – whites, reds, rosés, sparkling, and champagne. You can easily sort through the choices available, by category, price, country, region, grape variety, vintage, bottle size, and more. I made a beeline for a bottle of rosé, as this is the wine I tend to drink the most. 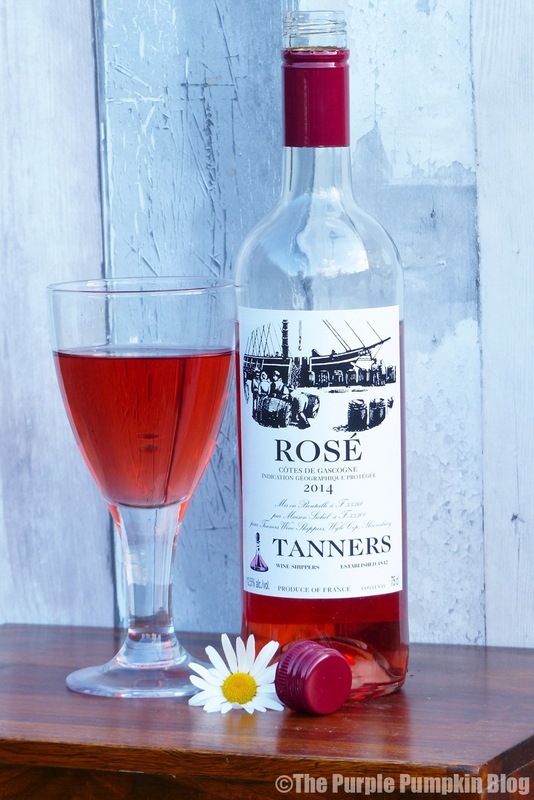 Tanners French Rosé, IGP des Côtes de Gascogne 2014 is sourced from a family domaine in the Gers, and is described as a juicy, racy rosé with vibrant summer fruits nose and a soft strawberry flavour. (ABV 12.5%) Upon opening, the fruity aromas hit me, and I didn’t find it too dry. 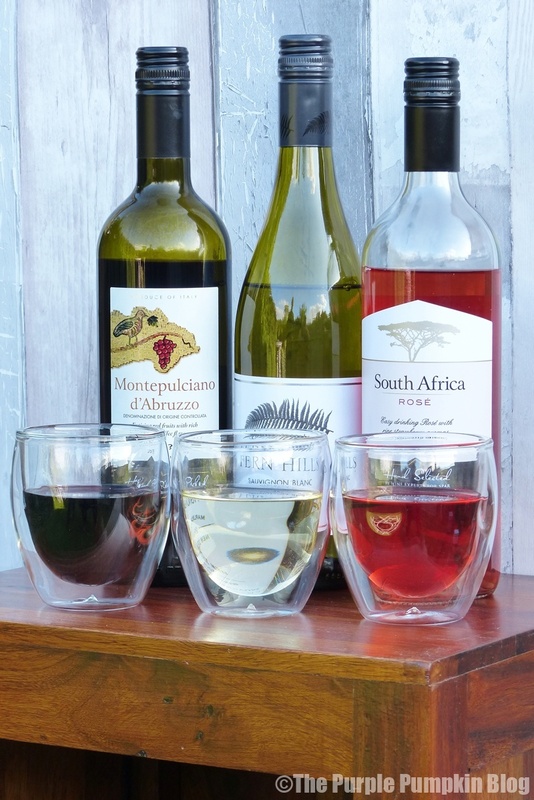 It would pair well with an antipasti platter, and I could see us enjoying this on a warm summer day – or like we did on the weekend, when we were treated to a bit of an Indian Summer! 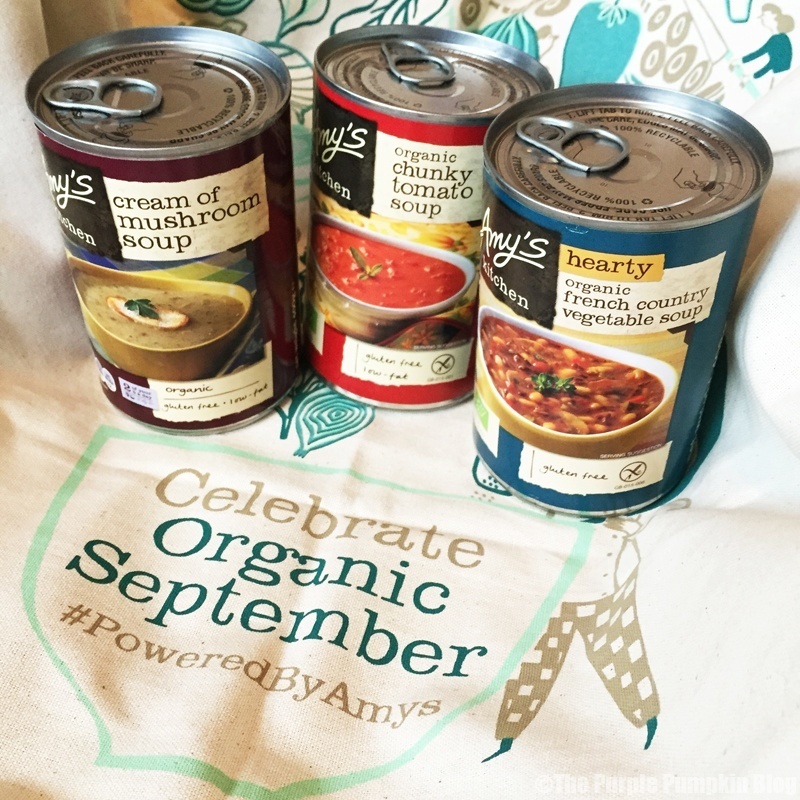 September was Organic September, which I mentioned about in August’s edition; we’ve been enjoying some organic soups from Amy’s Kitchen – and loved the samples we were sent so much, went out and bought several more cans for the store cupboard! Amy’s Kitchen was first set up by Rachel and Richard Berliner 20 years ago, who began making and freezing vegetarian, vegan, gluten- and dairy-free meals to ensure their baby daughter, Amy, would have something delicious and wholesome to eat when they were busy at work. They understand what it’s like to not have time to spend hours in the kitchen and take inspiration from their travels, which is why their wide range of soups are a super quick supper made with different flavours and ingredients, so you can enjoy a new taste sensation each night of the week! At Amy’s Kitchen, we make food in much the same way as you do at home. We start out with the freshest, organic vegetables we can find. We purchase high quality pastas, grains, beans, and Red Tractor assured dairy. We make everything by hand. Our sauces are prepared in stages; first by heating oil, then adding aromatics and followed by fresh veggies and tomatoes. All the ingredients cook slowly until they reach their fullest flavour. As well as soups, there is a range of other products, including ready meals and pizza, and something I’ll be looking out for in the supermarkets, because if they taste as good as the soups do, I’ve found a winning product here! The I was sent were – Organic Cream of Mushroom, Organic Chunky Tomato, and Organic French Country Vegetable. No photograph of the mushroom I’m afriad, as somewhere along the line, I’ve deleted that… not like me at all! What I loved most about the soups was the deep, rich flavour of them, and the fact that they were very filling too. The French Country Vegetable Soup was more like a stew, than a soup, and was so delicious, that of all the flavours we’ve tried, it’s my stand out favourite. Look out for these in the organic aisle at the supermarket – we hunted for a while down the soup aisle at our local Tesco, until we realised that they may be elsewhere in the store! Amy’s Kitchen soups have various health features, which may include being: vegan, no cholesterol, low fat, light in sodium, dairy free, lactose free, soy free, gluten free, and tree nut free, so check each flavour before you buy, if any of these are a concern for you. When I think of SPAR, I think of the local shop to pick up a few things you’ve forgotten in your regular weekly, and not award winning wines! 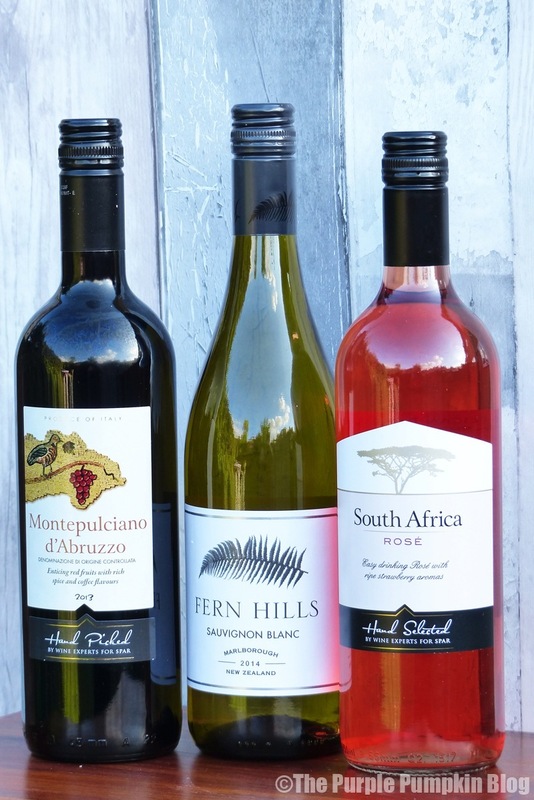 Well, it would seem I am wrong, as SPAR have proudly announced that their extensive wine range won over 70 awards this year at the prestigious International Wine Fair, including a Silver Outstanding badge for their own brand wine. I was sent three bottles of wine – red, white and rosé, which we haven’t had a chance to fully enjoy yet, but I wanted to get this into September’s round-up as there won’t be one for October! But I will come back and update this once we have! A smooth, rich, and delicious wine. Some say this is the best match for pizza, but it is also great with barbequed meat or pasta dishes. The powerful and aromatic flavours of this wine pair well with Asian-style seafood, Thai, grilled fish, and dishes with plenty of herbs. Best enjoyed with salads or, of course, as an aperitif. A light, refreshing wine with crisp acidity and ripe summer fruits such as strawberries, raspberries and red cherries. This wine is off-dry and easy drinking with soft fruity flavours. Perfect as an aperitif or with lighter starters and salads. Ooh I love the look of that soup….and the pocorn. Yum! I love this round up post of yours! We tried Portlebay Popcorn a while back and it was a big hit in our house. Really nice flavours. Looks like you’ve had a boozy month :) I’m not sure about wasabi popcorn mind you. Here in the states, we call crackle corn – kettle corn!